Arizona is a state of the United States, located in the southwestern region of the country. Arizona is also part of the Western United States and of the Mountain West states. Arizona is the sixth most extensive and the 16th most populous of the 50 states. Its capital and largest city is Phoenix. The second largest city is Tucson, followed in population by eight cities of the Phoenix metropolitan area: Mesa, Glendale, Chandler, Scottsdale, Gilbert, Tempe, Peoria, and Surprise. Names of Arizona corporations can’t be confused with any existing entity in the State as well as forced fictitious names and registered trade. Company Express will research your company name to make sure it meets Arizona’s standards. Required documents: Articles of Incorporation as well as a Certificate of Disclosure. Minimum number: At least one director is required. Appearance in articles: At least one director’s name and address must appear in the Articles of Incorporation. “Place of business address” must be in Arizona, but it can be address of registered agent which is also required. Time to file: Corporations must file a Corporation Annual Report and Certificate of Disclosure with the Arizona Corporation Commission on or before the anniversary of the date of incorporation. Signatures: Only company officers are authorized to sign annual reports. Emailed or faxed signatures are accepted. Filing extensions: Permitted. Extensions may not exceed six months. Names of Arizona Limited Liability Companies can’t be confused with any existing entity in the State as well as forced fictitious names and registered trade. Company Express will research your company name to make sure it meets Arizona’s standards. Minimum number: At least one manager/member is required. LLC’s principal office has to be located inside the state. Local registered agent is also required in Arizona. 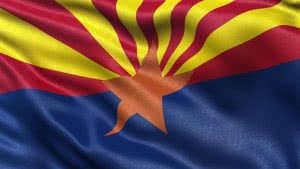 Frequency of filing: LLCs in Arizona are not required to file annual reports.